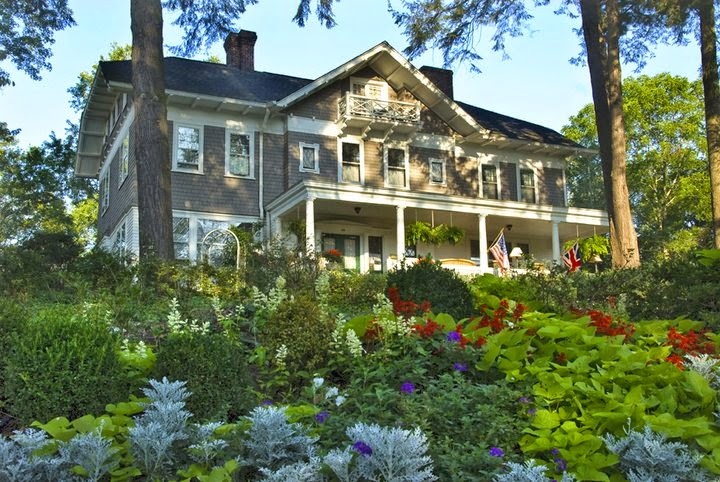 Abbington Green Bed & Breakfast Inn, Asheville NC: Nick's Notes 3.27.2015--I Love My Job! Do you love your job? I can honestly say "I Do!" I thought this week I would share with you the whys behind my love for being an Innkeeper. I had a wonderful 35 year retail career, but always knew one day I would own a Bed and Breakfast. As I mentioned a few weeks ago in Nick's Notes, this was my dream..........We had a 15 year plan which has now allowed me to live my dream. The sign that hangs outside the front door, "What I love most about my Home is Who I Share it With," talks about the beauty of Abbington Green and the amazing history of our home. But that is not what I love about my job.....those things are different. I want to share my top 3 things with you..............Why I love my Job! It's hard because there are so many things I love. I take my job as Innkeeper very serious. I actually get choked up when I read the amazing reviews guests have wrote about me and Abbington Green on Trip Advisor. (If you have not read the reviews, please take a look) I value and appreciate what each guest writes. Thank you for taking the time to write them. The first thing I love most about my job are the amazing people I have met. I love spending time with guests and hearing about their stories, their families, their travel, and so on. I always believe people come into each others lives for a reason. As an Innkeeper it has allowed me to meet so many people. I love the connections I am making. One guest has actually been back 3 times and planning her 4th trip here. That means the world to me............that guests have a wonderful time at Abbington Green and want to return. The second thing I love about my job is the team I work with. It starts with Steve my partner in life and in the business. As for the rest of the team we've not been together long, but I know how much they care about the success of Abbington Green. I can see the pride they have in the work they do. We still have a lot to learn, but I feel that Bradshaw, Michelle, Greg, Dennis and now Tina all have the commitment level necessary to grow our business. They all understand our guests are the most important thing and we want them to feel special while they're here. Even Lady Amber Abbington, our dog, loves to spend time with guests when she is allowed. enjoying themselves in our home. I also have to mention one more thing.............I love the fact that each day is different and you never know what tomorrow may bring. I would love for more of you to come check out Abbington Green and become part of something that is very special to me. Nick: it looks so perfect. We're down in Greensboro, about 3 hours away. If you want to learn about Greensboro, have a look at Greensboro Daily Photo. Next time we're off to Asheville, we'll look up your B&B. Good luck! Hi Janis and David! Thanks so much for reading along with us! We love NC and getting to know the other parts of the state. I'll definitely check out GDP. Hope to see you here in Asheville someday too!